The development of cancer and the role that diet plays are continually being studied. Are there really “super” foods that can help you to avoid chronic diseases such as cancer or is it all a bunch of steam? Truth is, there are foods that show cancer-fighting properties though no one is yet able to identify any one food over another that will stop cancer dead in its tracks. Studies show that a diet consisting of colorful fruits and vegetables (yellow, green, orange, red, white, purple and blue should all be included) is key to avoiding debilitating diseases like diabetes, heart disease and cancer. Previous studies on physical activity, weight and diet that were conducted by the World Cancer Research Fund and the American Institute for Cancer Research were reviewed and pointed to the benefits of eating mostly foods that were of plant origin. 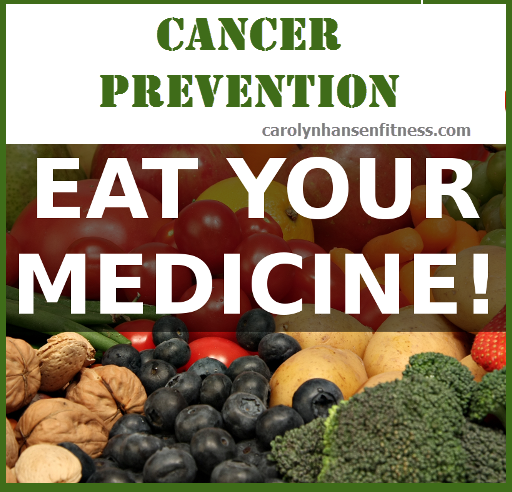 A few foods stood out in this study: broccoli, garlic and berries all showed some of the strongest cancer prevention links. They are all packed with phytochemicals and antioxidants that help to reduce cancer risk and as a bonus, they are low in fat and calories. These phytochemicals seem to protect our cells from dangerous compounds found in food and in the environment. According to Jed W. Fahey, ScD. MS (John Hopkins University School of Medicine research associate) they also work to protect cell damage and any cell mutations. Phytochemicals are chemicals found in plants that work at protecting us by acting as antioxidants or nutrient protectors or by preventing carcinogens from forming (these are cancer causing agents). In fact we should not have to implement these things into our daily diet. They should already consist of plenty of healthy, bright and colorful fruits and veggies, whole grains, fish and lean meat. If they are not in our daily diets then we need to examine our eating habits and change our style if we want to prevent serious disease now or in the future. Keeping our bodies at a healthy weight matters too. Arthur Schatzkin, MD, DrPH, senior investigator at the National Cancer Institute says “Everybody knows overweight and obesity are serious risk factors for heart disease and diabetes.” “It’s now clear that both are a major risk factor for certain cancers; breast, colon and endometrial cancer…a lot of them”. Other studies have shown that total fat intake of greater than 30% of total calories can actually increase the risk of developing some types of cancer. If these fats happen to include saturated fat and or polyunsaturated fat your risk is even greater. Since there is no specific recommended daily allowance for phytochemicals, eating a variety of different foods that include plenty of fresh fruits and veggies is the best way to insure that you get adequate amounts of phytochemicals in your diet. What you must remember about phytochemicals is that they are not found in supplements. You can only get these “warriors of disease” in the foods you eat. Most cancers are avoidable and are directly related to lifestyle. We need to start looking at ourselves for prevention of diseases such as cancer rather than waiting until they set in to turn to doctors for relief from the symptoms. The first line of defense always remains closest to home…you and your habits and no one can change or shift those things but you. Would you like to find out right now if there is an invisible threat hanging over your head? Take my 1 minute Cancer Risk Test to see how vulnerable you are right now to developing some form of cancer in the years ahead.